That test is not supposed to tell which is best or worst, so make your own appreciation keep in mind only the final result is the most important thing that you should never forget. 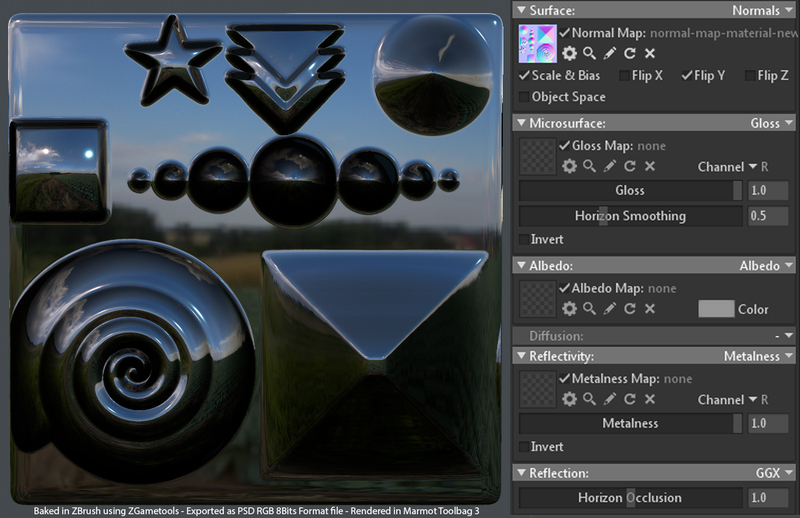 I had exported the normal map baked with Substance painter as RGB 8 bits PSD file format, and loaded it in Marmot toolbag 3. The two materials in Marmot Toolbag are strictly identical, only the path to the normal map is different. In this test there is no optimization of the scene or positioning of the light source, the models and textures are rendered with the exact same conditions. The normal map was baked and exported as PSD file in RGB 8bits format directly after the baking from Substance Painter 2.1.4 ( super sampling 4×4). 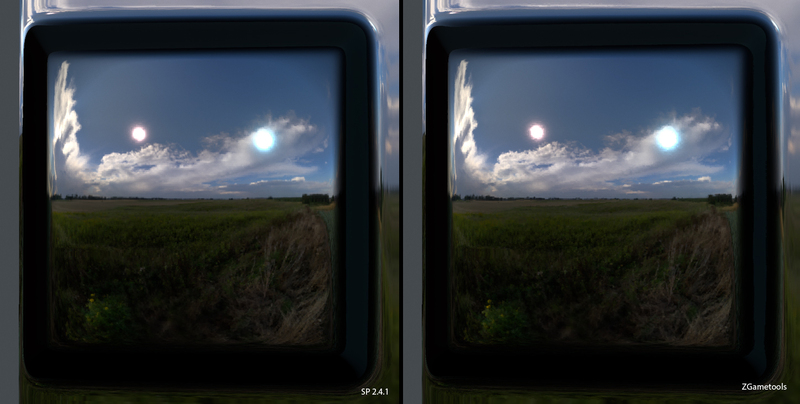 The normal map baked and exported as PSD in RGB8bits format. The main Difference, require to have a close look on the materials reflections. The First Observation is all about the blue Channel of the normal map, that concerns the depth that give the volume on the texture. In accordance to the high mesh used to bake the texture, that has a lot of depth volume on it. 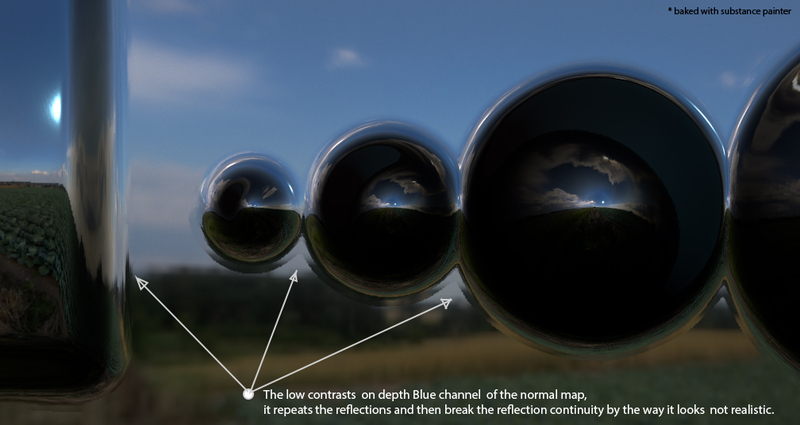 the baking of such extreme volume is giving too low dark contrast on the blue channel and generates unrealistic reflections. like pictured on the screen below. Note : This issue happen in substance painter in Iray rendering mode because Iray in Painter doesn’t not support 16bits normal map( read this article). 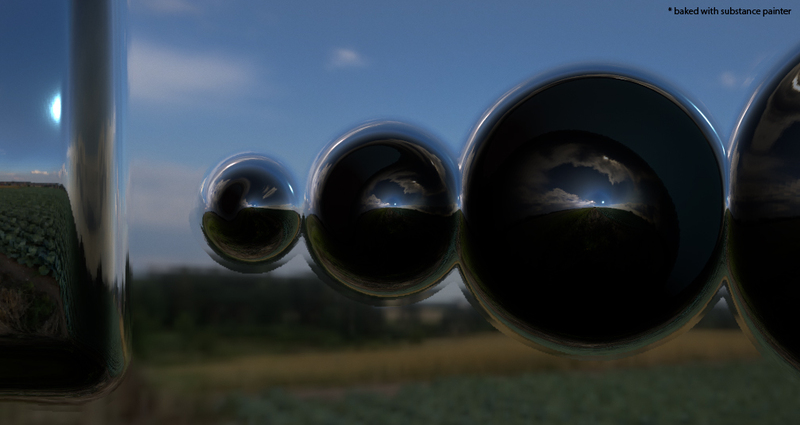 This issue happens into Unreal Engine too (read this article). 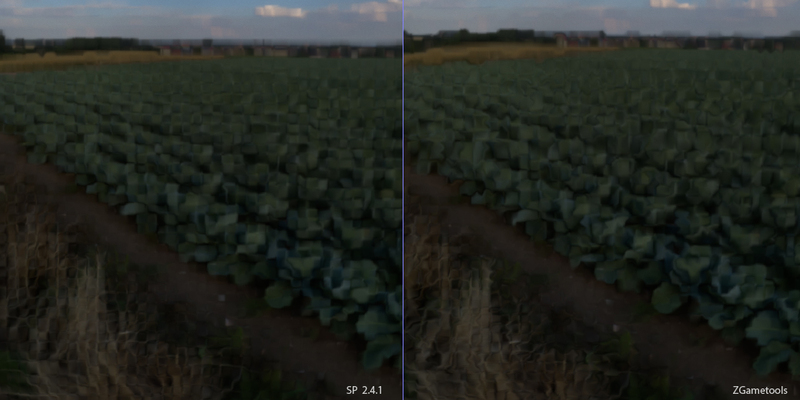 Both render are very similar , it hard to tell which one is the best and correct result.Actually this shape look flat on front of it, but it is not. To check what is causing the banding to happen on both normal map when we have a close look on the model surface in Toolbag 3 . I have applied an RGB level with extreme value to reveal how each channel are blend together. From a very closed view, we start to see the pixelated effect on the model surface. Make your own conclusion, share your observations and opinions by posting a comment.